After a slow start and losing a poorly Joe Astle after 2 minutes, the team really improved and began to fire on all cylinders to eventually win the competition. 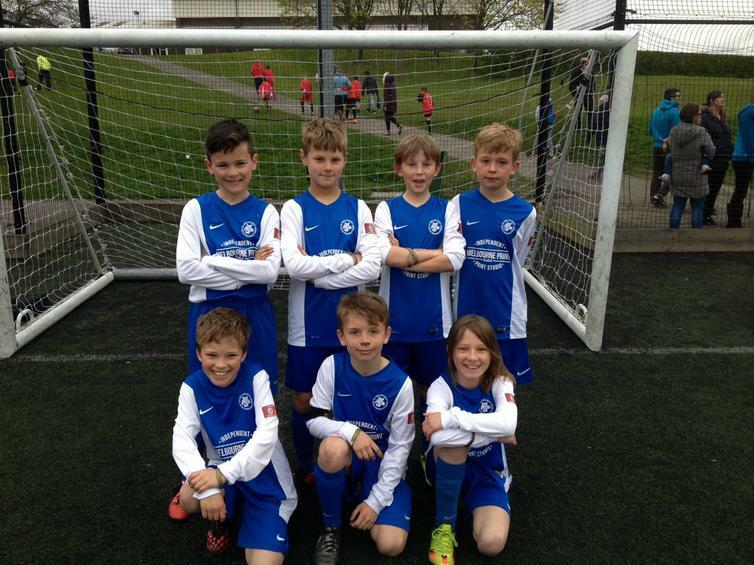 Having lost on penalties in their group, they faced a very strong Hilton team who had won their group. However, MJS played superbly and dominated the pass. The winning goal followed some slick passing and a lovely finish by Sam Alcock. The final was against Fairmeadows who they had failed to score against in the first game. MJS were now flying and Hugo played superbly up front chasing everything and putting pressure on their defence. Soon the goals came and Matty Paterson, Captain for the finals, led the team in style and scored all four goals in a stunning 4-0 win. Many congratulations to the whole squad: Sam Bancroft, Sam Alcock, Katie Boatman, Bradley Brittan, Benjamin Barker, Matty Paterson, Joe Astle and Hugo Supple. They played with a smile on their faces, always gave their best, were positive and very respectful of the opposition and officials.